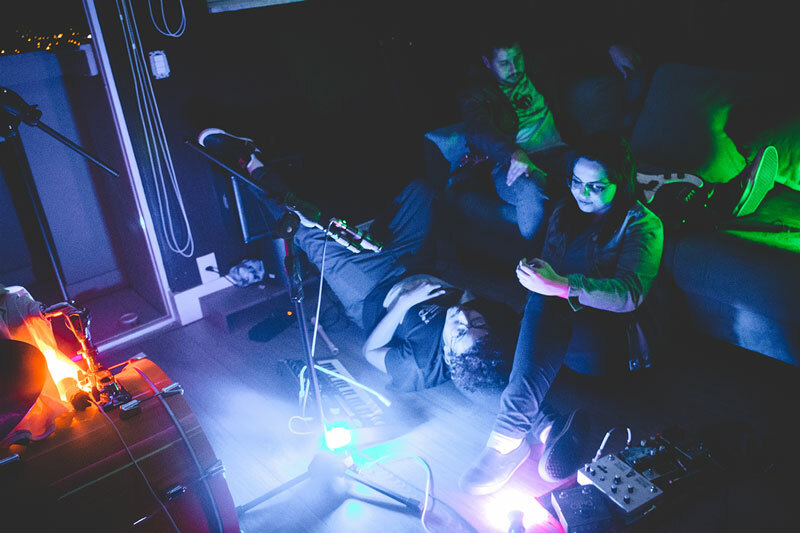 Pedro Baapz is just 23 years old and records dream-pop songs in his bedroom, pompously called Baapz Studio, in Juiz de Fora, Brazil. With songs scattered in Soundclouds and Bandcamps, Pedro also plays in Alles Club, BAAPZ , and Flopsy Franny with Isabel Oliveira. It’s not an easy job to connect all the dots. Macintushie is one another dot, but probably, the central one. The project began in September 2018, when Isabel told Pedro she had plans to move to another country. The duo decided to record as much as possible. Old songs in their hard-drives became alive, with Isabel delivering lyrics and singing. Songs about being together and leaving, about loss and loneliness. “Talk ’bout” has some parts in Portuguese that says “Only those who miss / knows what missing does“. So simple and beautifully sung in Portuguese. To blend all together, their friend Ruan was called to add some guitars and the bass line in “Triplexxx”. In less than a month, six songs where recorded. Pedro sent the tracks to Bráulio Almeida from Devilish Dear, who he knew from previous works with Alles Club. Braulio mastered the songs and sent to midsummer madness, and here we are! You can name it bedroom pop, dream pop, pc music or even shoegaze, or chillwave. Pedro, Isabel and Ruan go deeper: they are interested in deconstruction and reconstruction. “For me, Pedro adds, “art nowadays needs to be in constant interaction: film and streaming, advertising and memes. And music isn’t different. It has to go against any aesthetic prejudice. You are not obliged to like everything you listen to, you just need to dissociate yourself from any conservative aesthetics. Conservatism in art is not what we need in such a dark period as the one we are living”. Macintushie released its debut, the 6 song EP “Stillwitchu” on the 15th of April in digital format only.